It's interesting that the good ol' seafood boil (which is more accessible to the South of us) never really caught on during the first wave to hit the Lower Mainland. 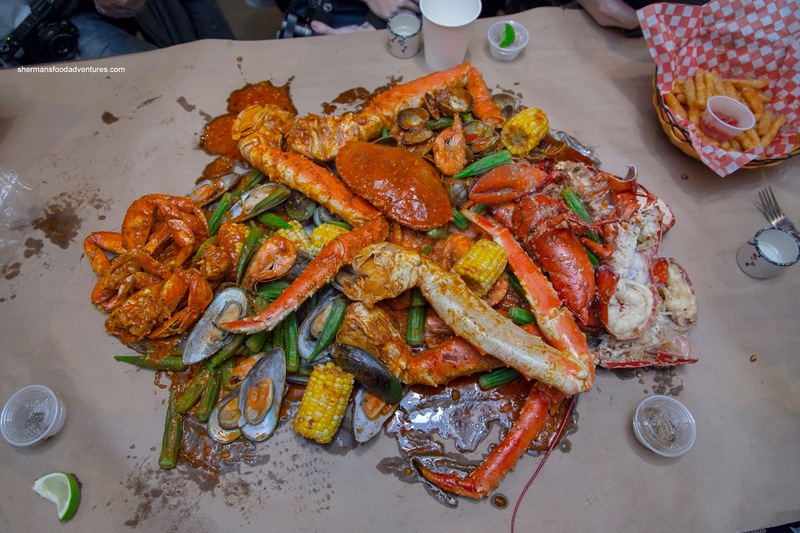 Well, there are few hurdles for a seafood boil to succeed in Vancity including cost and the prevailing attitudes of the locals. Compared to the ones I've had in the States, it does cost more to eat it up here and that is a reality. Second, many people believe that merely heading to a Chinese restaurant will yield better value and a better product. 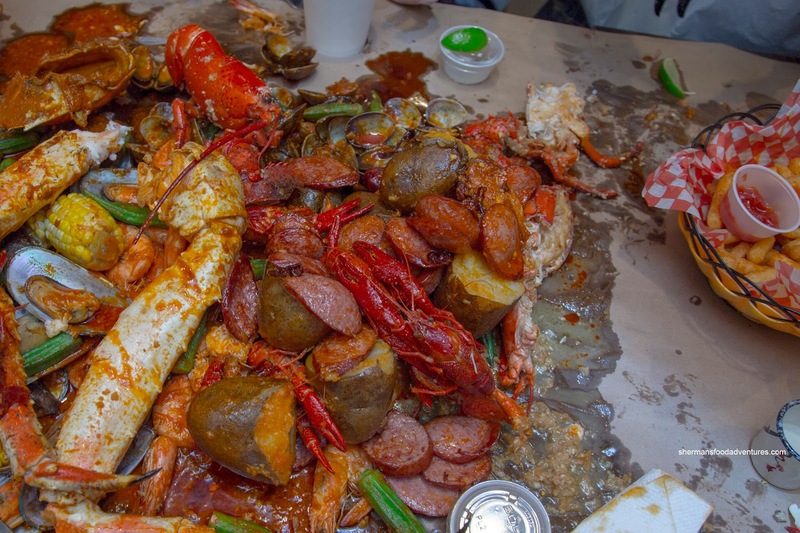 Therefore, the seafood boil is a tough sell. Now we see a second wave of restaurants that seemed to have taken this more seriously. 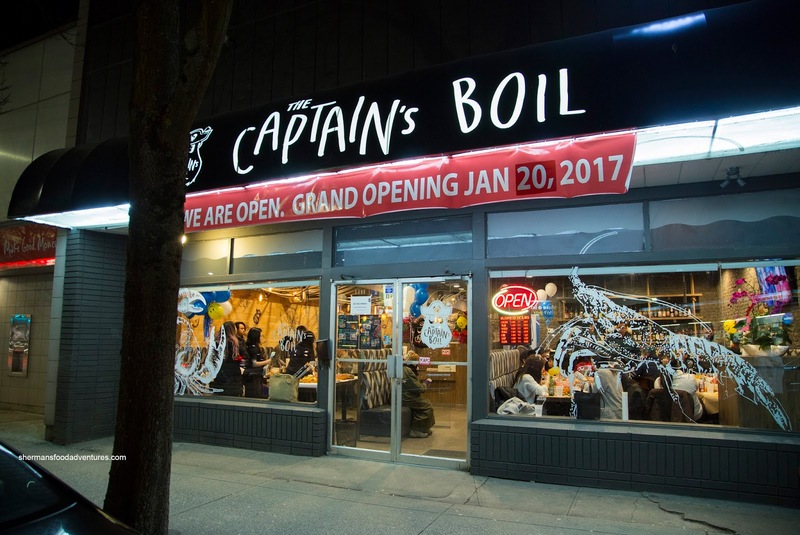 I've already had a good experience at The Captain's Boil in Richmond, so when an invite came my way for their new Vancouver location, I didn't need much convincing. We were able to sample anything on the menu, so we pretty much had everything including the Fried Chicken Wings. 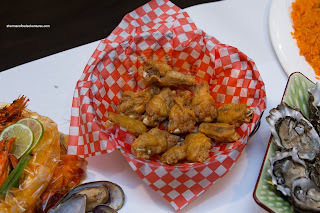 These were reminiscent of any Asian-style wing where there was minimal batter. Also, the skin was decently rendered and crispy. Most importantly, the meat was juicy, well-marinated and tender. 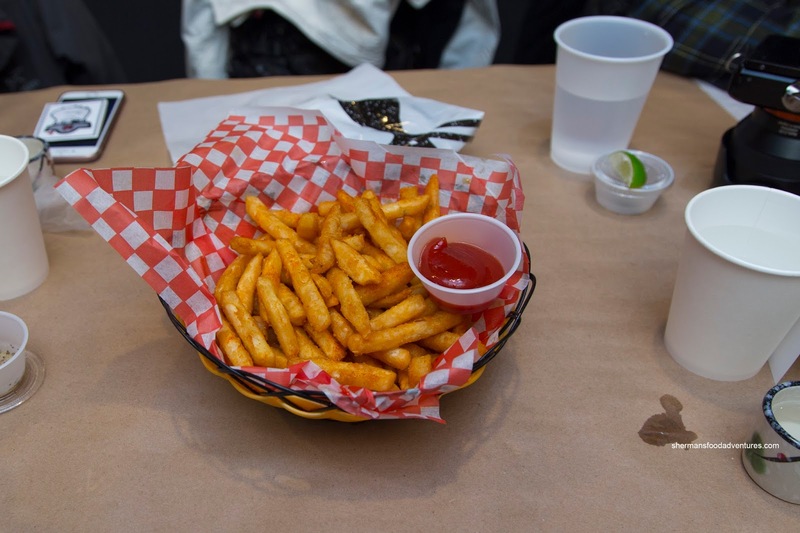 Normally, I'm not a huge fan of starch-covered French fries because it just creates an artificial illusion of crispiness (it is crispy though, just not in a double-fried hand-cut manner). However, I do like the ones at Costco. With that being said, the Cajun Fries at The Captain's Boil were very much like Costco fries, except with a touch of spice. So yes, I liked these. Similar to many other boils (including some in the States), each individual seafood is prepared and served in plastic bags. Of course you can dump it out onto the table (like we did) for easier access. We chose a different sauce for each, leaving the most powerful one (Captain's Boil - mix of garlic, lemon pepper and Cajun) for the Clams (which were buttery and meaty). The Shrimp (with Cajun sauce) were cooked decently where they still had a meaty snap. I have a personal bias against Kiwi Mussels in a seafood boil as they already come cooked, so cooking them again makes them rubbery. To maintain the natural sweetness of the Lobster, we paired it with a mild garlic sauce. This was good where the lobster meat was sweet and had a nice rebound texture. Not just because it was the most expensive item on the menu, but the King Crab Legs were on point. Yes, we realize they were frozen legs, but really, they were prepared properly where the meat was springy, juicy and full of natural sweet saltiness. They were really large and meaty too. The same could not be said about the Dungeness Crab because the meat was soft and mushy. Either it was not particularly fresh (again possibly frozen) or it was cooked far too long. My best guess would be the former. As for the corn and okra strewn throughout, I enjoyed both of them. The corn was plump with each niblet exploding with natural sweetness. It was not over done, which meant none of the niblets stuck to my teach. Surprisingly, my favourite crab wasn't even the King Crab Legs. Rather, it was the Snow Crab. 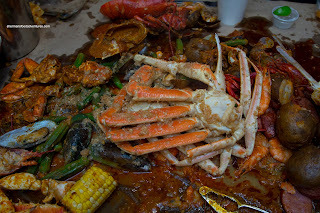 Normally, I stay away from Snow Crab at buffets because I find them scrawny with dry meat. Well, they did a good job here as the leg meat was juicy, flavourful and springy. Our last item was the veritable Crayfish and honestly, I'm not a huge fan of it. Not because they didn't prepare it right, it's just a lot of work for so little meat. To their credit, the meat was moist and had a nice rebound texture (of course it tasted muddy as it usually does). Arriving in the same bag as the crayfish were the potatoes and sausage. Potatoes were not bad being soft while not completely breaking apart Not much flavour soaked in though. Interestingly, the sausage was better than the Richmond location (where it was mushy). 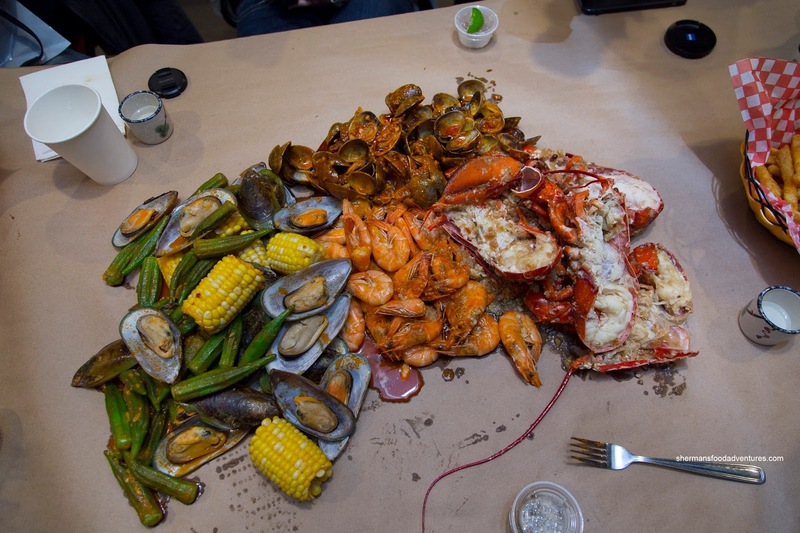 Overall, with personal biases aside, all of the seafood (except for the Dungeness Crab) was prepared correctly. Sure, this form of eating seafood isn't exactly cheap, but if that's what you want, the Captain's Boil does a good job at it.